We’re happy to announce a new version of the BEE email editor on beefree.io – our free, online drag-&-drop email builder – that hundreds of thousands of email designers have used in the last months to create beautiful, responsive emails! Today, we’re also announcing that the BEE email editor software can now be embedded into your own software application via the BEE Plugin. Let’s go over these two big announcements in more detail. Thanks to the BEE Plugin, any CRM, CMS, E-commerce, or other application that sends emails can now offer its users the BEE email builder to design great looking responsive emails, without the need to invest into the development of such a feature. Please note that the BEE Plugin is currently in BETA. To learn more about the BEE Plugin, it’s pricing and technical details please view our help article: What is BEE Plugin? 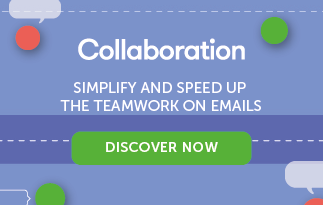 A new version of the Best Email Editor (BEE) is here! 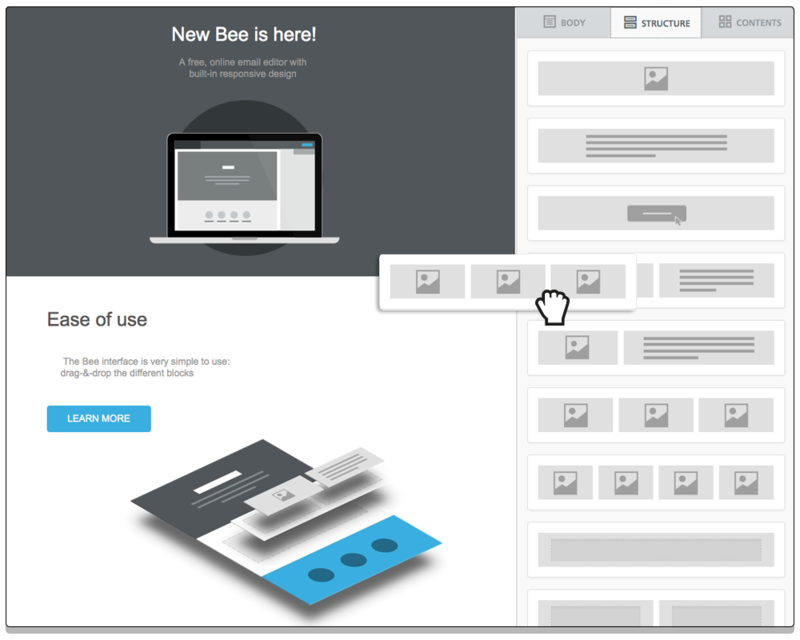 With more than 30,000 active users per month, the free version of the BEE email editor on beefree.io has become one of the most popular email design tools since its launch in October 2014. The BEE email builder allows anyone to design stunning, fully responsive emails without the need of any HTML or CSS coding knowledge. 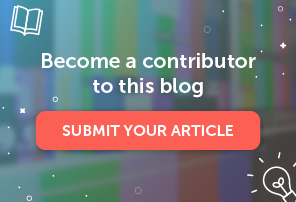 Continuing on our mission to create one of the best email editors around (that’s what BEE stands for), we took user feedback and worked on a new version. The result is BEE v2, rewritten from the ground up for better performance, and to allow designers to employ a more flexible template structure and customization. Different horizontal sections of the message can now use a different background, for example. And each row can be 100% wide, which is a design pattern that’s been very popular lately in email design. Different vertical sections of the message can now enjoy dedicated settings, such as borders, padding. etc. 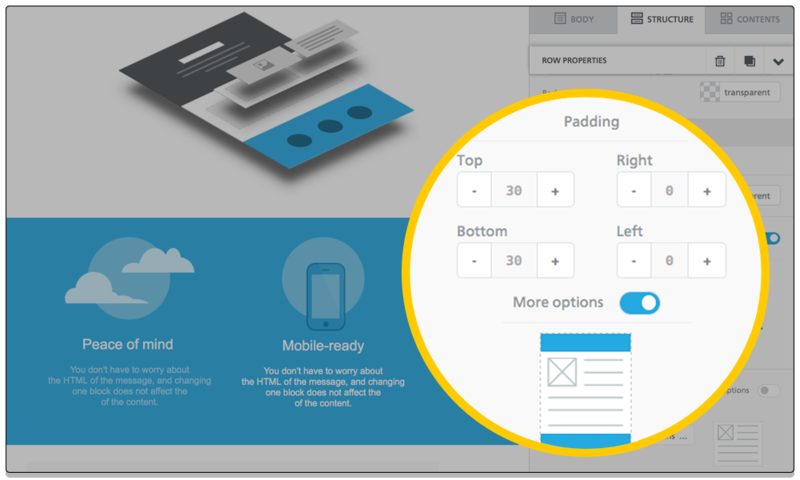 You can now control padding for each of the 4 sides of a content element. Here is a short video tutorial on this feature. You can now control border width, style, and color for each of the 4 sides of a content element. Here is a short video tutorial on this feature. Several new message-level settings have been introduced, and are inherited by all other content items. For example, you can now set the font family at the message level and use it automatically everywhere. BEE now learns which colors you are using in the message, and gives you quick access to them when you pick the color for a new element. There are many other new features in BEE v2, including more control on social media icons… and much more! Visit beefree.io to try the new version of the BEE email editor and see how easy it is to design beautiful, mobile-ready emails. 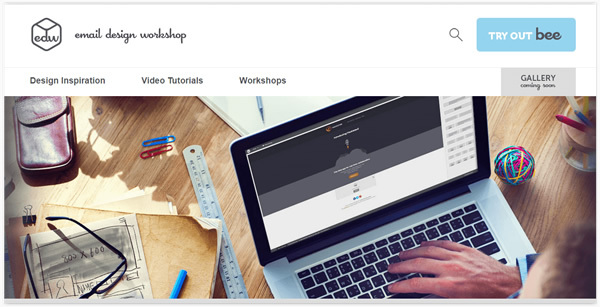 And check out our email design tips and practical workshops that use the BEE editor on our new email design blog!